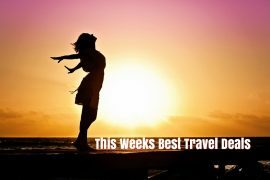 In my best travel deals this week I have a super four night stay in the Costa del Sol, a bargain break in Gran Canaria, a family deal to Fuerteventura, a winter break to Vegas, long haul for less in Mauritius and a 5* Celebrity cruise. It doesn’t get much better than this! Enjoy a four night stay in ‘Vegas baby‘ for only €495 this November. Price includes flights and accommodation at the Stratosphere hotel, based on 2 sharing! It looks like June bargains are out already! Spend seven nights in the popular Duna Beach apartments in Gran Canaria for only €298 , departing the 8th of June. Enjoy a week in sunny Fuerteventura this summer. Fly from Dublin on the 19th of August and spend seven nights at the popular Broncemar Beach apartments for only €1655, based on 2 adults and 2 children sharing. Treat yourself to a luxury week in Mauritius, without the expensive price tag. Stay at the highly rated Veranda Palmar Beach on an all-inclusive basis from only €1169. 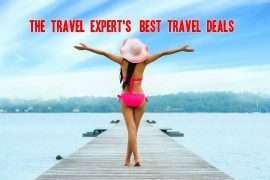 Price includes flights, airport transfers and a FREE upgrade to a sea-view room! Cruise around Copenhagen, Berlin and Stockholm and over night in St Petersburg on this amazing two week Scandinavia and Russia Cruise. Price of €1,629 on the 30th of July includes FREE flights from Dublin and a fourteen night luxury cruise on the 5* Celebrity Eclipse! Next articleBook 5 Nights, Stay 5 Nights Free at the Luxury Katathani Phuket, 1 week inc Flights & Transfers, €1119!